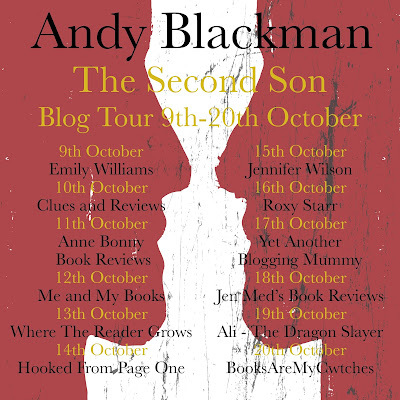 Happy to be today's stop on this blog tour for Andy Blackman's The Second Son. Check out these other fine blog tour stops along the way! Continue down for a synopsis on the book, about the author and an in-depth, spoiler free look inside the book. As the second son of the Duke of Hampshire, Grenville St John Hampton isn’t likely to inherit his family’s title or estate, leaving him pondering an empty, aimless future. During the summer break from university, he impulsively decides to go backpacking with one of his oldest friends, Johnathan; their destination is Belize. and for the first time in his life, Grenville has a sense of purpose. family’s seat with a dark secret in tow. Andy Blackman is the author of For the Love of Grace (published by Clink Street, 2016). The book opens with Grenville St John who is the Second Son of the Duke of Hampshire, who live a life of opulence on his Family estate in Hampshire, Grenville has just finished his first year of university not sure what direction his life is taking, after all as a Second Son he is unlikely to inherit the family title and estate. when his best friend from boarding school asks him to join him for the summer on a back-packing holiday in Belize he redly agrees knowing his parent will be glad to be rid of him for the summer break and especially his odious older brother who he detests. His parent readily agrees to fund his trip, and as he sees it ready for an adventure. Whilst their it soon becomes apparent Jonathan is not liking travel and wants to go home. Whilst in the south of the country they decide on their last day to get a farewell drink before departing back to the capital. During a darts match they decide to have with two local lads, the game soon becomes serious but only Grenville is unaware of the situation, eventually Grenville celebrates his victory, but the two local lads take exception to this and one pulls a knife and tries to stab Grenville. Grenville and Jonathan are rescued by Tom who just happens to be waiting in the same bar for a contact, Tom quickly whisks them back to the Belize Capital via Toms boat. On the journey back Grenville and Tom become firm friends as Tom is from England as well, Jonathan decided after their escape to go home to the UK, Grenville decided to stay and continue his adventure, as he told Jonathan as a Second Son he has nothing to look forward to at home. Before Jonathan leaves, Tom give him his address so he can contact him if he needs to, Jonathan begs Tom to look after Grenville, which he agrees to do. 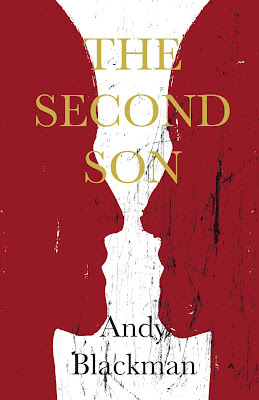 After years, away Grenville receives a letter from Jonathan letting him know he must return home as his older brother has been killed in a car crash and he is now heir apparent to the Dukedom of Hampshire. After Grenville learns Tom mission and his life, and after a tragic incident, Grenville decides to help Tom in his quest from England, after some soul-searching Tom agrees and allows Grenville to do this. Once home Grenville is re-united with his parents and agrees to become the future Duke of Hampshire, but he is shocked to learn his brother had all but bankrupt the family estate, Grenville decides to sort out their mess first, selling the diamonds Tom and he procured in Belize he pays off the family debts and stops the sale of Hampton Hall the family estate, these actions bring him closer to his parent especially his father who he had not forgiven for not letting him attend his beloved Grandfathers funeral when he was at school. Grenville meets his Brothers Fiancée and they quickly become close and she tells Grenville her awful secret. After a time, Grenville falls in love with her and she agrees to marry him. Grenville contacts his two closest friends from school and they both agree to help him set up Toms Old Company running it from the UK. Tom is never far away in help having his London contacts helping Grenville when people and problems arise. Grenville helps Tom track down his family killers, only Grenville know the companies true purpose, eventually Tom has the last name and he is returning to England, Grenville is excited and looks forward to helping Tom once again.